Thank you for purchasing the Olsson Ruby Nozzle! The Olsson Ruby was made to be extra durable for printing abrasive materials but has proven to work excellently with any material. 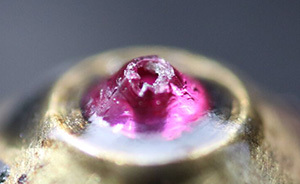 And while the ruby tip of the nozzle is extremely wear resistant, there are a couple of things you should keep in mind to make sure your nozzle stays in perfect condition. 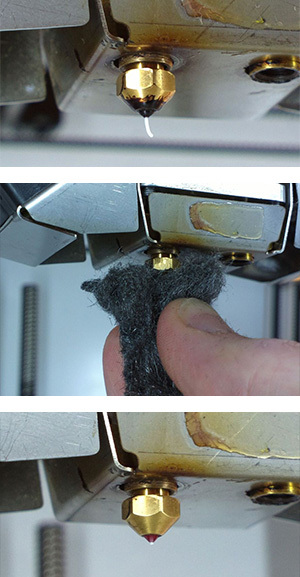 Always make sure that the heater block is heated up to printing temperature when installing or removing the nozzle. Cold plastic in the threads acts like a very strong adhesive which means you will need to use excessive force to unscrew the nozzle which can damage it. When installing the nozzle, cold plastic can prevent you from getting the nozzle screwed in all the way which can lead to leaks. If you don't already have the torque driverprinted, you should go ahead and do that before you install the nozzle. The design of the Olsson Ruby is quite intricate which makes it more sensitive to over-tightening than a standard brass nozzle. We recommend using the printed torque wrench or a torque driver set to 0.5Nm. The max allowable torque is 1Nm. You can download the files for the printable torque wrench here: Torque wrench by Anders Olsson. Make sure you follow the instructions. You can also use this ready made gcode-file. If you need to clean the outside of the nozzle you can use a piece of cloth or a paper towel while the nozzle is hot. Obviously be careful not to burn your fingers. If that isn't enough you can step up to steel wool to get stubborn burnt plastic off as shown to the left here. To clean the inside of the nozzle, the Atomic Method is still applicable. Never attempt a cold pull outside of the printer, the nozzle needs to have the back flange supported while you apply the large pulling force, doing this without the support of the heat break may cause the nozzle parts to separate! There are people that suggest using a gas flame to burn out residues from a nozzle as a way of cleaning them. We recommend against doing this for both the ruby nozzle and standard nozzles. Do not use scotch brite pads to clean the nozzle. This will not destroy the nozzle but can cause slight wear on the outer part of the shoulder. 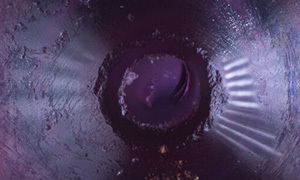 The reason for this is that the rough side of these sponges has an abrasive made of the same type of material as the ruby, aluminium oxide, which causes it to damage the edges of the nozzle. 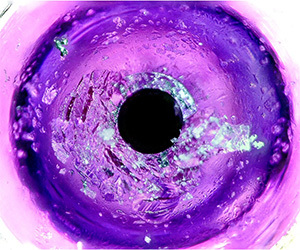 An acupuncture needle can be a good tool to help dislodge clogs in nozzles. However, it is important that you don't bend the needle heavily while using it as this can destroy the ruby. Always start by doing a few Atomics before using a needle to clean the nozzle. The Atomic method will likely be enough. Be careful not to drop the nozzle on hard surfaces. The ruby tip is very hard but can chip if it gets hit sharply. Also make sure that you don't let the nozzle hit the glass retaining clips. If you keep these simple precautions in mind, the Olsson Ruby will serve you well for a long long time. 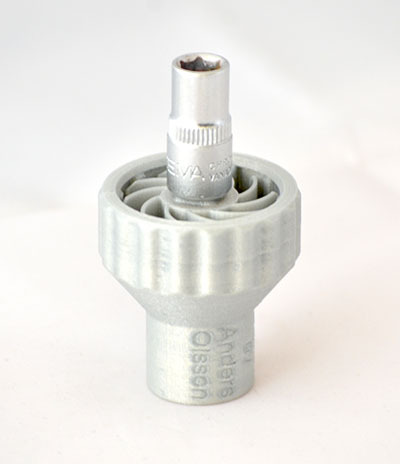 Whether you're printing with abrasive specialty filaments such as Colorfabb's XT-CF20, or just plain old PLA, we're confident you will be happy with this nozzle. Here are some tips we've gotten from our customers regarding their specific hotends or printers. If you have any tips or hints to share that you think would be useful to others, please let us know! Make sure to re-adjust your z-stop when using the Ruby nozzle as it does not match the height of the standard nozzle. Depending on the age of your printer, clearance may be an issue. Updates to the cooling fan ducts mean that there may not be enough room left for the Olsson Ruby. Make sure you keep track of the orientation of the heater block when installing the Olsson Ruby.